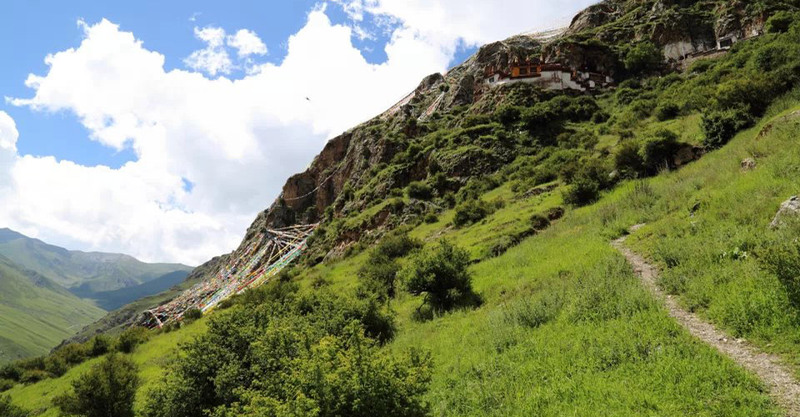 Drak Yerpa Monastery Meditation Caves–Drak Yerpa(4885m) locates about 16km northeast of Lhasa, a short drive to Dagtse County, is one of the holiest meditation cave in Tibet. Built in the 7th century, the whole monastery was compacted in the cliff. It has a history of over 1500 years and also ranks one of the most famous monasteries in Tibetan history. 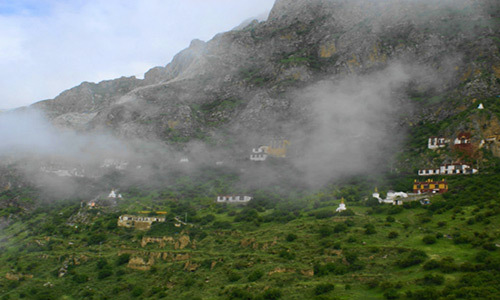 A monastery and some meditation caves consists of the famous Drak Yerpa that used to house about 300 monks. What’s more, the legendary hero King Gesar is said to have visited this place. And the holes his arrows left are believed to be the evidence of his existence. Besides the King Gesar, King Songtsen Gampo and Guru Rinpoche(Padmasambhava)also had meditated in a cave here. As one of the Four Secret Practice, Drak Yerpa is now a popular tourist attraction in Tibet. So far it is still the holy place for monks practice, and even the must-visit site of travelling, worshiping and archaeology. Meanwhile. there is a proverb spreading over local Tibetans: visit Lhasa without going to Drak Yerpa, as if make new clothes without collar. It means that if you skip this beautiful place, you may leave a lifetime regret. 3. If you want some further Tibet travel tips, please follow our Tibet Travel Blog. 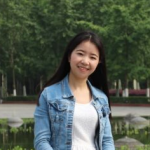 We’ll also update the latest Tibet news and tips every working day.